We have known about this car for many years and it has changed hands over its existence. It was sold back in 2015 for $1.57 million at Mecum Auctions and then it became very quiet, until this week when it was spotted by the Kartographer in Beverly Hills, California. 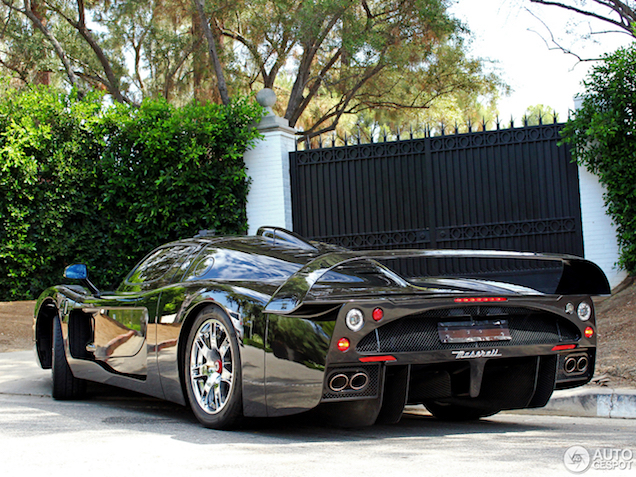 Of the 50 MC12s produced, this is the only one that was finished in Metallic Black. Even after 12 years this car continues to amaze us. The limited production Maserati is powered by a 6.5 liter V12 engine sourced from the Enzo, with a total output of 620 hp and 652 Nm of torque. The 0-100 km/h or 0-60 mp/h acceleration is 3.8 seconds and an maximum of 330 km/h or 205 mp/h. 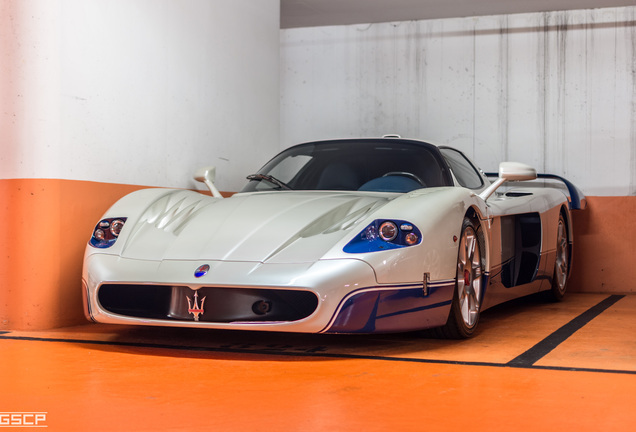 Maserati built the MC12 to homologate (minimum of 25 cars) the race racing variant to compete in the FIA GT Championship. 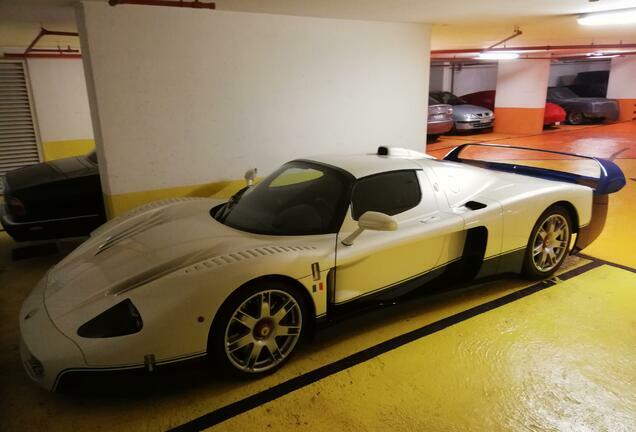 A total of 50 MC12's were produced in 2004 and 2005 and customers were able to pre-order their MC12 for €600,000 ($670,541 USD). 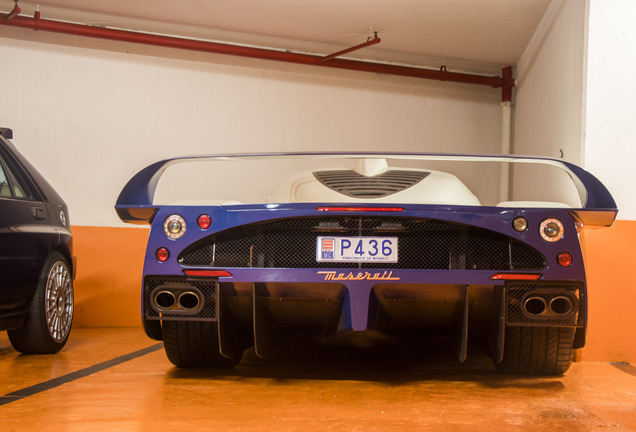 Maserati designed and built the car on the chassis of the Enzo Ferrari, but the MC12 is much larger and has a lower drag coefficient, that lead to penalties in the American Le Mans Series races. 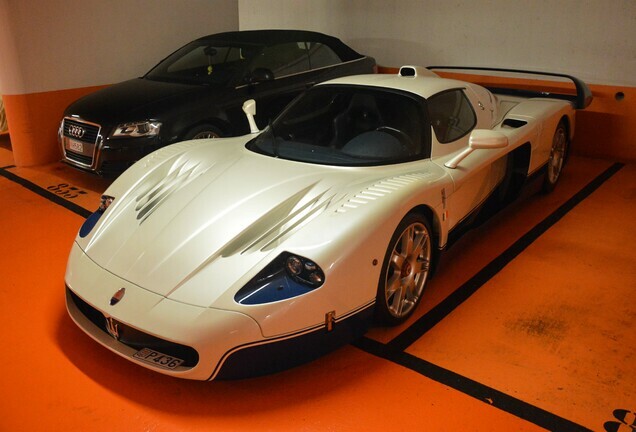 There are big differences between the MC12 and the Ferrari Enzo. 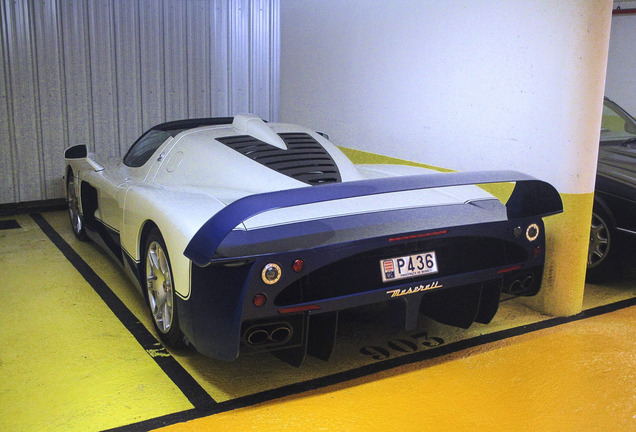 The MC12 is longer, wider and taller and has a sharper nose. This gives the MC12 more grip and it can go faster through the curves compared to the Enzo Ferrari. But the Ferrari is faster in acceleration and has better braking performance and a higher maximum speed (20 km/h or 12 mp/h).